The X PRIZE foundation is at it once more. Two years ago Space Ship One rose to the occasion and collected the first X PRIZE. A ten million dollar bounty was awarded to Mojave Aerospace Ventures, the heroes of private spaceflight, as they returned from their second 100 kilometer trip into the heavens. The Ansari X PRIZE has stimulated a storm of growth and progress in the commercial space flight industry. And the fun didn't stop in October of 2004. Rival teams continue to compete in an annual X PRIZE Cup event for millions in awards. This year the X PRIZE Cup is being held in New Mexico, and includes contests for lander module technology and space elevator development. A few million in fame and fortune put out by the X PRIZE foundation has resulted in hundreds of millions of dollars in research and technological advancement. With the marked success of the Ansari X PRIZE , it's no surprise that the foundation has decided to explore other avenues of science. Today, on the second anniversary of the Space Ship One flight, the X PRIZE Foundation announced the creation of the Archon X PRIZE for Genomics. This prize of $10 million will be awarded to the first group that can successfully meet the Archon challenge. That is, to sequence no less than 100 human genomes in no more than ten days. Keep in mind, that the original Human Genome Project to map a single human genome took more than a decade, and $3 billion in funds. For some one to claim the Archon X PRIZE, they must do a hundred times the work of the HGP and all in a tiny fraction of the time. If the Archon prize is half as successful as it's space faring brother, this will mean a leap forward in genomics so drastic, the rules of the game will change. With the technology to sequence 10 genomes in a single day, personalized medicine could become common place. Fore knowledge of genetic maladies, drug susceptibilities and biological tendencies could have an effect on medicine greater than the invention of the microscope. And that is just the beginning. The more genomes that are mapped, the greater our collective understanding of of who we are. With a thousand genomes to compare and contrast, we'll learn a little more about ourselves. With a million, whole new fields of bioinformatics will form. And with the knowledge gained from a billion sequenced human genomes, the foundation would be laid for real human genetic engineering. When the Ansari X PRIZE was offered up, rocket men from all over the country took notice. Enthusiasts, wide eyed millionaires, dedicated engineers, mavericks, and geniuses huddled around blueprints and scale models and tanks of liquid oxygen in an attempt to reach the stars. And ultimately, they went above and beyond and are still moving forward. The effect of the original X PRIZE has been nothing short of amazing. Now the same carrot is being dangled in front of geneticists. Three teams have already entered the running in the brief time since the Archon X PRIZE has been announced. Winning the Archon will require a breakthrough idea that will change the way we look at the very building blocks of life. Already dozens of scientists are clamoring to find it. That, my friends, is the real prize. MEMEPUNKS UPDATE: After doing some further research I found an article that lends a bit more depth to the story. First, there is a follow up reward for the winners of the Archon X PRIZE if they decide to claim it. 100 additional volunteers have signed up to have thier DNA sequenced. If the winning team choses ot map the genomes of the "Genome 100", they will net themselves another cool million. The volunteers will be a mix disease sufferers nominated by charities, and high profile celebrities. 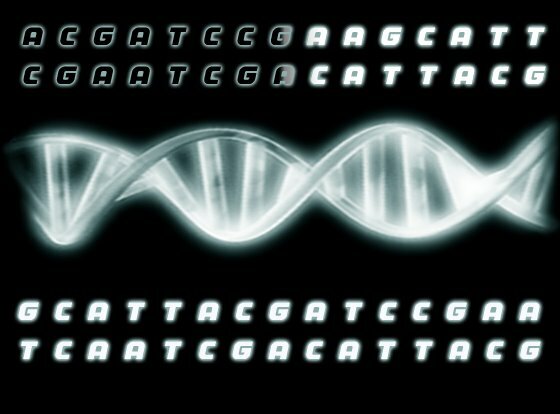 The charities believe that by decoding the genomes of patients, insight will be gained about the nature of the disease. The X PRIZE foundation hopes that big name celebreties will increase awareness of the event and make it more relavent to everyone. Names already on the list include Paul Allen, Larry Page, and Stephen Hawking. Stephen Hawking! I guess it would be poor taste (but hilarious) to point out that he fits both categories: celebrities and disease sufferers. Oh, don't look at me like that! You were all thinking it! We Can Rebuild Him. We Have the Technology. CRIKEY!!!! The Croc Hunter is Dead! Memepunks will in no way tolerate spam in our comments. All instances of this will be removed as they are found. If you wish to post any commercial link that is not DIRECTLY relevant to the parent post, please contact us. Thank you, the management.